With UNRCPD’s support, Nepal is implementing a new model of delivering Peace and Disarmament Education to meet post-conflict challenges. 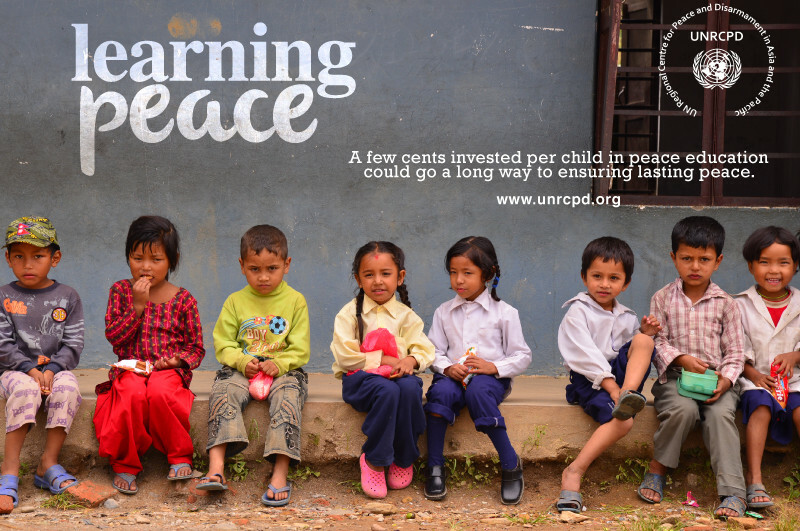 UNRCPD has created a video to illustrate the start of a journey of Peace and Disarmament education which will initially reach 300,000 Nepali schoolchildren. By addressing the roots of interpersonal violence and reducing the demand for arms, the project will help strengthen the fragile peace that the people of Nepal have worked tirelessly to achieve. International Day of Peace will be celebrated across the world on 21 September, with a special commemoration at UN Headquarters on 18 September. With this year’s theme, ‘Education for Peace’, the project video will be premiered at the event before a global audience.